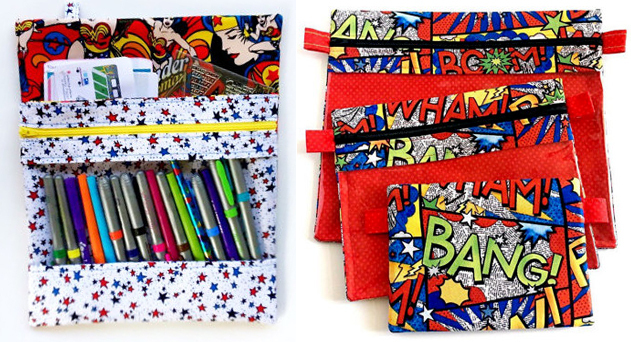 Perfectly Paired Patterned Fabrics in the Form of Fun Functional Bags. Designed for Stylish Organization in Professional or Creative Pursuits. Inspiration: The Versatility of Textiles, Turning them into Useful Crafts. Raise your hand if you agree that keeping organized doesn’t have to be boring. Just as art doesn’t have to be just for "Art’s sake,” right?! The creative mastermind behind By Angie Boutique has built a fun and functional collection of bags based on these two principles. Angie has always had a passion for sewing, ever since she watched her mother work on projects as a child. I admire her key source of inspiration in the way you can take something as basic as fabric and turn it into an infinite array of useful goods: clothing, bags, accessories and more. Angie is dedicated to quality and puts a lot of care into each piece so it will last. Her main focus currently is a line of custom designed bags with a clear front so you can see what’s inside. 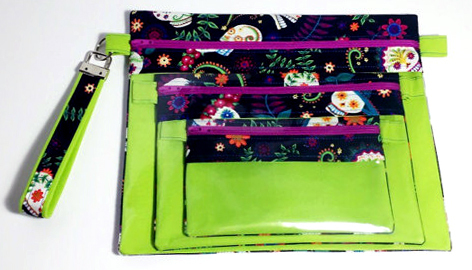 They are great for holding craft supplies, makeup, kids toys, really anything that fits. What’s more, the fabric used for the rest of the bag is always amazingly colorful and fun. Pick any of a variety of themes, from girlie to pop culture to nerd culture. It’s fair to say that Angie is another artist I am a little jealous of for the shopping she gets to do, finding wonderful textiles that work well together and help people express their personality. 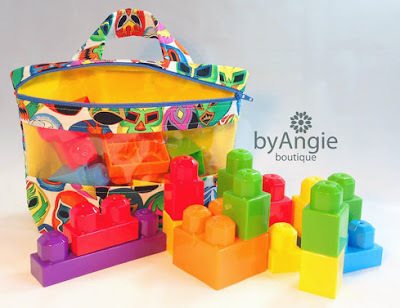 You’ll never want a simple store bought pouch again once you see the selection Angie offers. You’ll also no longer mind keeping organized when everything has a cute bag to contain it!